Trip to Berlin– We went to Berlin with Norwegian because it was the company that had the best offer. We went for $ 40 round trip. Yes, it was low season, in January.You can search for flights to Berlin and if you are flexible on dates you can find similar offers or even better ones. Accommodation: When we were trip to Berlin we slept on an Airbnb near the Am Friedrichshain tram stop . Now this accommodation is no longer available. But we recommend that area to search, since in 5 minutes by tram you are at Alexanderplatz. This hotel, for example, is very close to where we sleep and has good ratings. But anyone in that area will be fine. To get to Berlin from Tegel airport we only have the bus option. The bus that needs to be picked up is the JetExpressBus TXL. This bus, although it depends on the time of day, takes 37 minutes to get to the city center. For more information about transportation at this airport. To get to Berlin from the Schonefeld airport you will have to take the train. Or the S-Bahn (the Berlin metro). To go to Berlin’s central station is about 35 minutes. To move around trip to Berlin we use the 4 day Berlin Welcome Card. You have to bear in mind that although when you look at the map, the distances seem short. The Berlin is a very big city. That’s why the distances are not as short as they seem and we recommend you buy transport tickets that allow you to make unlimited trips. As such, there are only one day unlimited travel cards.To to be able to make unlimited trips during 2, 3, 4, 5 or 6 days you will have to buy the Berlin Welcome Card. The Berlin Welcome Card, at least the one we had and what we have seen on the Berlin transfer website. Includes zone A and B. To move around trip to Berlin you will not have any problem. But if you want to make an excursion to Potsdam or Sachsenhausen which are zone C. You will have to buy an extension of the ticket. 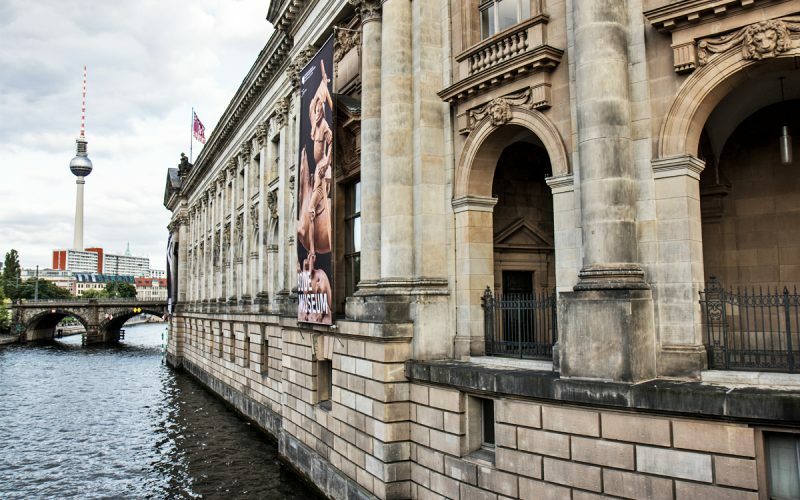 Berlin is a city that does not leave indifferent and that can attract people with very different tastes. Without going any further, David was attracted to the most alternative Berlin and to me the historic one. Despite the differences, we agree on our essentials in Berlin . When we think of German gastronomy, the first thing that comes to mind is the frankfurts. And all the varieties of sausages They have. But that’s not all you can try in Berlin. If you ask us about the food in Berlin, the best Kebab that we have tried in a long time comes to mind. Or the curry-wurst: one of the most typical dishes of the city. To see all the food we tried and where are the restaurants or where we ate we have this ticket for you. Watch out! It is not advisable to read it if there is little left for lunchtime! From the city of trip to Berlin we have several options if we want to leave the city. We just did one of the two we’re going to talk about today. The first one is to go to the city of Potsdam. When we were we caught a cold wave and saw the city. And the landscapes close to the city all snowy. Another very typical excursion from Berlin is to go to the Sachsenhausen concentration camp. As we had already been to Auschwitz and we knew how hard it was to visit a concentration camp. We decided that visiting one was enough. But if you have not been to any or want to go to Sachsenhausen on this page you can find excursions from the city of trip to Berlin. It leaves from the same Alexanderplatz and you will only have to buy a train ticket from zone A to go. Before traveling to a city, and more if it is as big as Berlin, we recommend that you read the entry of tips to plan a trip . You can save money if you organize well. After reading the entry of the councils, consider buying the Berlin Welcome Card. The transport is free and has discounts in many of the main tourist attractions of the city. If you want to visit the Bundestag or Bundestag better than you reserve online, otherwise you can arrive. And there are no tickets or you have to queue. They told us before we went to book. Goodness! There were people who had to do an hour and a half of queue at -10 ° C. And some were left without because when they touched the computer program was hung. And there was no way to work. We have an entry in which we explain step by step how to reserve entry to the German Bundestag or parliament online. An alternative to the tourist bus of Berlin are bus lines 100 and 200. You will not have the audio guide. But you will pass more or less by the same points as the tourist bus and it is cheaper. If you are a group of 5 people you can save money by buying a group day ticket with which you can make as many trips as you want. Carry cash, we were also warned; they told us that in some places they do not accept a card. We only had problems to buy transport tickets. A man told us that he would not let us buy the metro ticket. Because some machines only accept German cards. We did several tours with CultourBerlin. All Berlin, Potsdam and alternative Berlin. The Todo Berlin is an essential for a first contact with the city. We in the last trips always try to do one like this to know a little the city and then we already move by our account. But undoubtedly the one we liked the most is the alternative Berlin, we recommend it 100%. If you want to know a little more about this tour you can read our entry about Kreuzberg, the Turkish district of trip to Berlin. 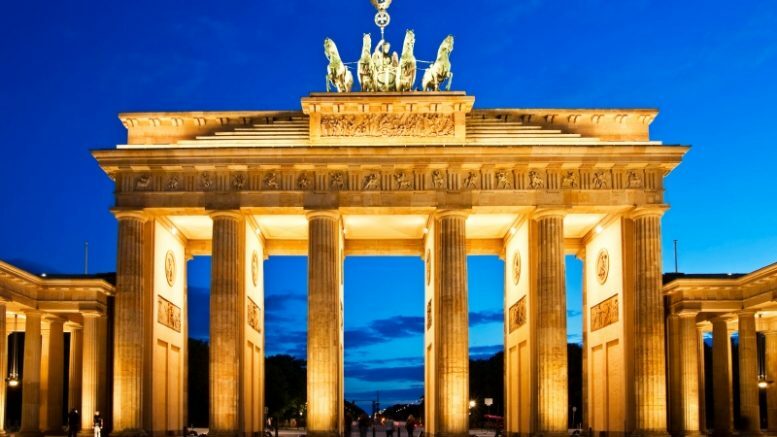 Be the first to comment on "To start planning your trip to Berlin"